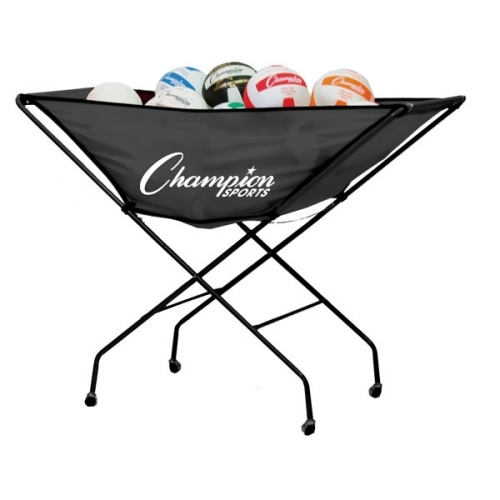 The Champion Sports Collapsible Volleyball Cart was specially designed for fast paced drills. 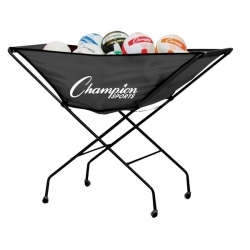 The hammock style bag allows for quick ball retrieval during practice and game time, and can hold up to twenty four volleyballs. The cart features an aluminum frame and rugged casters for easy, smooth transport.